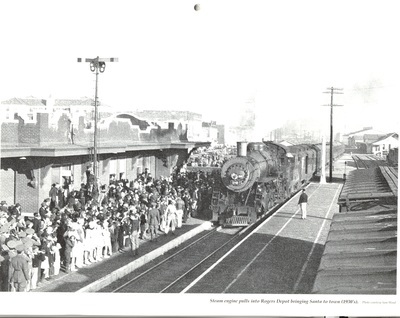 The first train arrived in the area that became Rogers on May 10, 1881. At that time there was no Rogers, but only local communities such as Escalapia Hollow, Silver Springs (Monte Ne), War Eagle, and Cross Hollows. 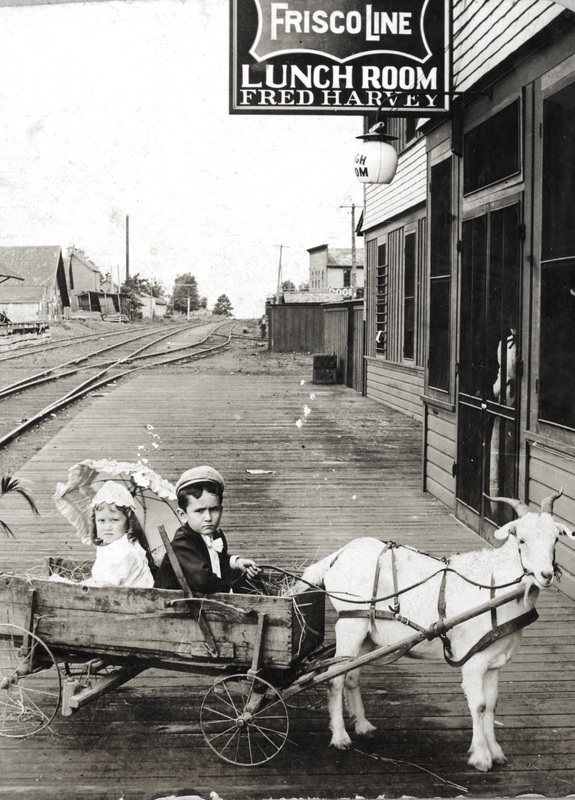 Just 18 days later, the new town of Rogers was incorporated on May 28, 1881. Almost immediately a depot was built at the location today of Fire Station No.1 at the corner of First and Chestnut Streets. 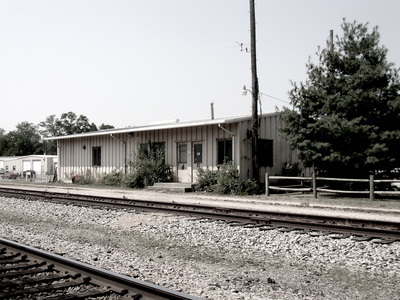 This first depot accommodated both passengers and freight. 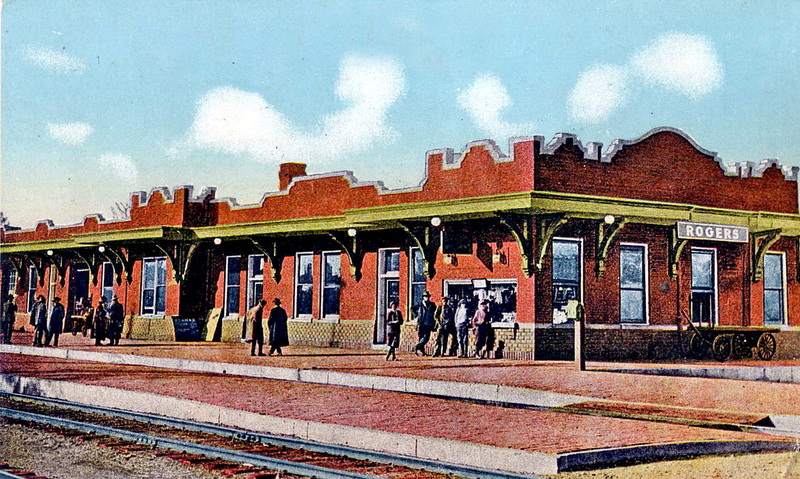 Rogers grew fast after the Frisco Railroad came through, and just two years later in 1883, a larger and nicer passenger depot was built beside the tracks between Elm and Poplar Streets where Frisco Park is today. 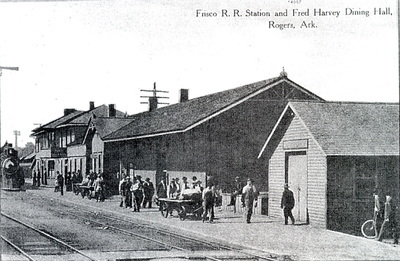 During this period, Rogers was served by both the freight depot and the passenger depot. At this time, virtually all supplies for the area came in on the trains. 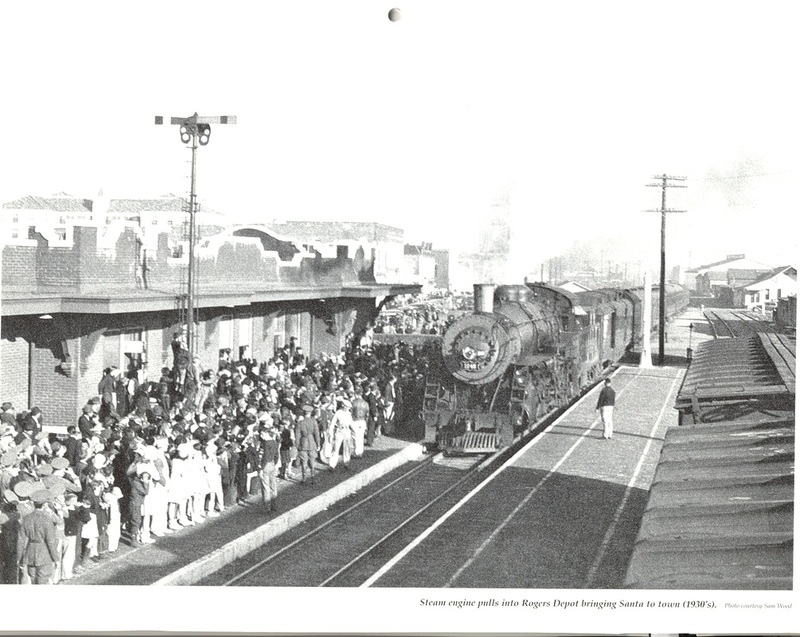 In the early days of Rogers when train travel was at its height, thirteen passenger trains came through Rogers each day. With so many hungry passengers coming through Rogers, there was a great need for a restaurant. 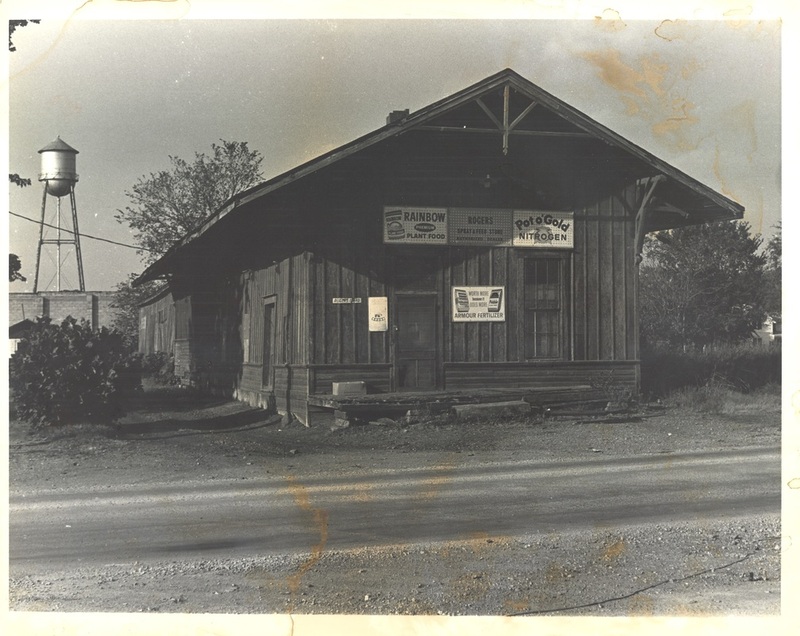 In 1898, the Harvey House Restaurant was built on the south side of the depot. The Harvey Houses were a chain of restaurants in partnership with the Frisco created to feed passengers quickly. The trains would stop for twenty minutes giving travelers time to grab a meal. The Harvey House in Rogers was larger than the depot and consisted of three rooms – a kitchen, lunch, and dining room. The dining room was very elaborate with fancy tables equipped with luxurious tablecloths, napkins, china, silverware, and fresh greenery in the center. Light was provided by elegant chandeliers and heat by a pot bellied stove. In 1907, six trains a day stopped in Rogers for meal service. The new depot at First and Cherry was unique due to its unusual parapet roofline. The waiting room was large and well lit with elaborate chandeliers. Railroads peaked again during World War II, both for transportation and for shipping freight, because of the gas and tire shortage. After World War II, automobiles and planes replaced passenger trains as the popular mode of travel. In 1963, the Frisco Railway Company lost $3 million on its passenger train service. 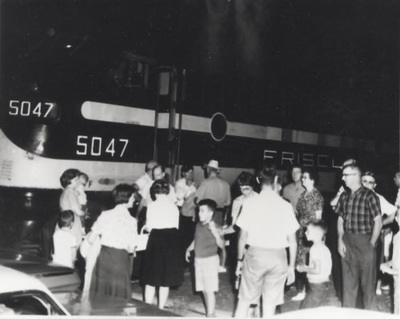 By 1965, in spite of the Frisco spending millions of dollars to upgrade the passenger service, ticket sales in Rogers was down to only about $200 per month.